It’s Thursday night. The votes are being counted as I am pressing tired fingers to a worn keyboard. As soon as I finish I am rushing off to Wandsworth Town Hall to find out if my wife Eileen has been elected to our local council. Up until the 23rd of June, ex-US diplomat Eileen has been an intensely interested but unaffiliated voter who has floated from party to party. Then Britain voted to leave the EU and 48 percent of the country—including Eileen—were plunged into political mourning tinged with bitterness and anger at the appalling conduct of the campaign. Immigration was briefly discussed and dismissed. Too old. Too tied. Then the lethargy set in. The piles of dirty dishes and laundry grew to small mountains. Why should we care if 52 percent of the country were more concerned with the ethnic background of their neighbour than the economic prosperity and security of their country and Europe as a whole? Finally—after a decent period of mourning—came the realization that the only way to escape the trough of despair and self-pity was to climb off the sofa and fight back. So Eileen joined the Liberal Democratic Party, the only national British party still battling to stay in the EU. Almost immediately, a by-election was called for a seat on the local council. While still in the throes of dosomethingness, my wife applied to be the Lib Dem candidate. To her total amazement—but not mine—they selected her. The vacation was cancelled and replaced with day after day of writing leaflets, printing leaflets, addressing envelopes, stuffing envelopes, delivering envelopes, knocking on doors, arguing on doorsteps and haranguing commuting voters outside railway stations. We know how to have a good time. The message was simple: The ruling conservatives have declared Brexit means Brexit. 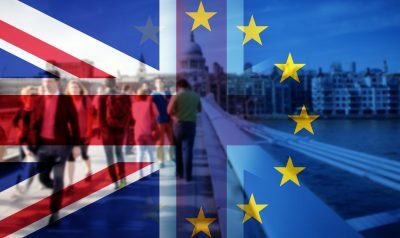 The bitterly divided Labour Party has declared Brexit means Brexit. The United Kingdom Independence Party has rejoiced: Whoopee, Brexit means Brexit. They want Europe off the agenda. The only way to send a message to the political establishment that 48 percent remain desperately unhappy is to vote Lib Dem at every opportunity and every level. Is it working? Well, in national terms, the Lib Dems increased their membership by 25 percent in just one month following the referendum result. In July, the party gained seven seats in council by-elections. The message was always Europe. It is too early to tell, but Eileen’s campaign may be one small breeze in a political hurricane which is about to sweep through post-referendum Britain. The Lib Dems were decimated in the 2015 general election. Their five-year coalition with David Cameron’s austerity conservatives saved the economy but destroyed the party. Parliamentary representation dropped from 56 to just eight MPs. Then came Brexit. It was the conservatives split over Europe that led to the referendum which never should have been held. And, although they are adept at papering over the cracks, the Tories are failing to unite to develop a proper Brexit strategy. As for Labour, they are too immersed in a vicious civil war to care about national politics. On top of that they have lost all support in their Scottish heartland and the traditional working class is abandoning them for the anti-immigration UK Independence Party. The Liberal Movement which ruled the roost in Victorian England has been in decline for 100 years. There have been periodic pronouncements of the imminent revival, but all, were at best, premature. To be honest, my wife has as much hope of winning her council seat as an ice cream cone surviving high noon in the Sahara. In the last election in Tooting, the Liberal Democrats won 6.9 percent of the vote in this rock solid Labour seat. The goal, however, is not to win but to increase support that over time can be translated into major gains across the country and to tell Prime Minister Theresa May that despite her best efforts, Europe is still very much on the agenda. Election Result: Eileen Riley Arms almost doubles Lib Dem share of the poll but loses to rock solid Labour. Tom Arms broadcasts on world affairs for a number of US radio stations including WTKF at http://www.wtkf107.com/. 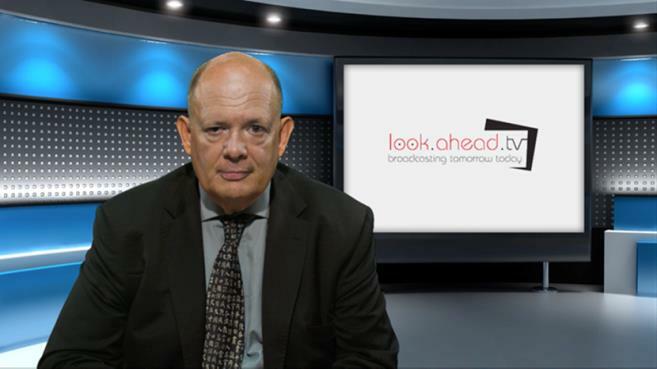 His Weekly Viewpoints discussion programme can be heard at 1830 EST on Wednesdays and his LookAhead at the next week’s main events on Fridays at 1800.